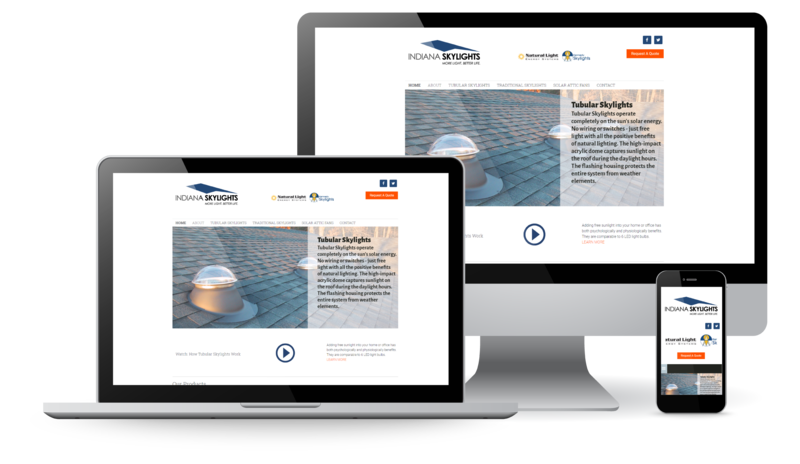 We worked with Indiana Skylights, a company that offers tubular skylights, traditional skylights and solar attic fans for residential and commercial customers in Greenfield, Indiana to design a new website, a new logo and social media management for their new startup. Has a consistent social media posting strategy on their Facebook Page. Keep up with what we're doing by following us on our social channels. We share some pretty cool stuff. For questions about our services or general information, either head to our Contact Page, or FAQs Page. We would love to sit down over a coffee or snag a beer and discuss your marketing project.